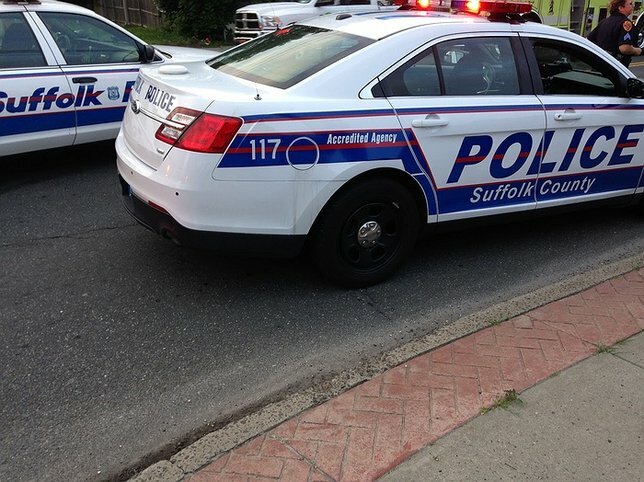 Suffolk County Police Second Squad detectives are investigating a crash during which a man died after his vehicle struck a house in Huntington Station this morning. It is believed that the driver may have suffered a medical event prior to the crash. Detectives are asking anyone with information on the crash to call the Second Squad at 631-854-8252. Huntington Station, NY - December 10, 2016 - Suffolk County Police Second Squad detectives are investigating a crash during which a man died after his vehicle struck a house in Huntington Station this morning. James A. Burke was driving a 2003 Ford Ranger pickup truck eastbound on East 3rd Street at approximately 11:50 a.m. when his vehicle veered off the road, went through the fence at 36 East 3rd Street and struck the house. Burke, 76, of Huntington, was transported to Huntington Hospital by Huntington Community First Aid Squad where he was pronounced dead. It is believed that Burke may have suffered a medical event prior to the crash. The vehicle was impounded for a safety check and the investigation is continuing. Detectives are asking anyone with information on the crash to call the Second Squad at 631-854-8252. MTA LIRR’s Cannonball - Express to Hamptons & Montauk - Debuts Friday, May 27, Departing Penn Station at 4:06 p.m.
Subject: LongIsland.com - Your Name sent you Article details of "Man Dies Following Single-Car Crash into House in Huntington Station"